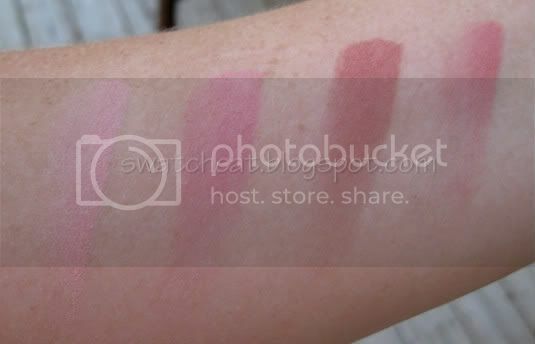 I only have a few Joues Contrastes, so I swatched them while I swatched the fall collection. Take a gander. 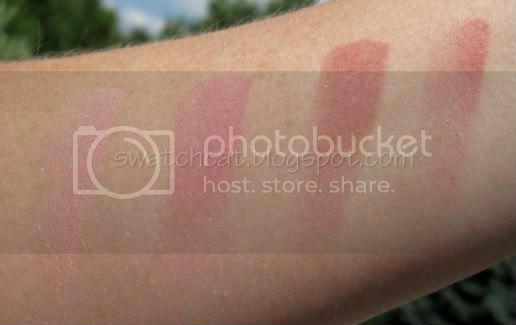 I really love the soft feel and pigmentation of Chanel's Joues Contrastes. It's really hard to choose a favorite! If you're sensitive to scents, these to have a rather pronounced rose scent (as do most Chanel products), but the scent does dissipate once the blush is put on, and if you leave the compact open for a little while, it will also dissapear. I have a few more on my wishlist that I plan to add to my collection slowly. How many Chanel Joues Contrastes do you own?